Claflin University opened in the buildings of the former Orangeburg Female College on October 27, 1869, and was chartered by the State of South Carolina later that year, on December 18. It was named in honor of Lee Claflin, a prominent Methodist layman from Boston, and his son William Claflin, then governor of Massachusetts. With “the only admission requirements for prospective students being the possession of good moral character and a conscientious desire to learn,” Claflin offered – for the first time in South Carolina – quality higher education for men and women “regardless of race, complexion, or religious opinion.” The University awarded its first bachelor’s degrees to Nathaniel Middleton and William Bulkley in 1882. Dr. Alonzo Webster was appointed the institution’s first president on January 31, 1870. Since its founding, the University has been served by eight presidents – Webster, followed by Dr. Edward Cooke (1874-1884); Dr. Lewis M. Dunton (1884-1922); Dr. Joseph B. Randolph (1922-1945), Claflin’s first African-American president; Dr. John J. Seabrook (1945-1955), the University’s first alumni president; Dr. Hubert V. Manning (1956-1984); Dr. Oscar A. Rogers (1984-1994); and Dr. Henry N. Tisdale, who began his illustrious tenure as Claflin’s leader in 1994. The University’s trademark building – Tingley Memorial Hall – was constructed in 1908 and is listed on the National Register of Historic Places. Other notable constructions include Ministers’ Hall in 1919, H.V. Manning Library in 1967, W.V. Middleton Fine Arts Center in 1968, the Jonas T. Kennedy Health and Physical Education Center in 1980, the James and Dorothy Z. Elmore Chapel in 2005, the Molecular Science Research Center in 2010 and the University’s latest addition, Claflin Commons, which is slated for completion in September. Student Etta Butler Rowe penned Claflin’s alma mater in 1903. In 1927, the campus newspaper, The Claflin Panther, was established. The University’s first summer session was held in 1947. On December 7, 1961, Claflin was admitted to full membership in the Southern Association of Colleges and Schools, and the University achieved active member status in the National Collegiate Athletic Association Division II on September 1, 2008. The Claflin Honors College – now known as the Alice Carson Tisdale Honors College – was established in 1994, and The Freshman College began in 1996. The Center for Professional and Continuing Studies was started in 1997. The Founders’ Day Convocation is held each year to commemorate the establishment of the University. It is annually the culminating activity for Homecoming Week at Claflin. Poet Nikky Finney will deliver the keynote address at Claflin University’s 145th Founders’ Day Convocation, which will be held at 4 p.m. Sunday, November 23, 2014, at Tullis Arena in the Jonas T. Kennedy Health and Physical Education Center. 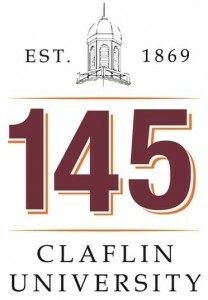 For more information about Claflin University, visit www.claflin.edu.